The sport of windsurfing is perhaps best described as something of a cross between surfing and sailing. A board about the same size as a surfboard will be fitted with a sail, which the rider can adjust to allow himself to balance and ride the waves. 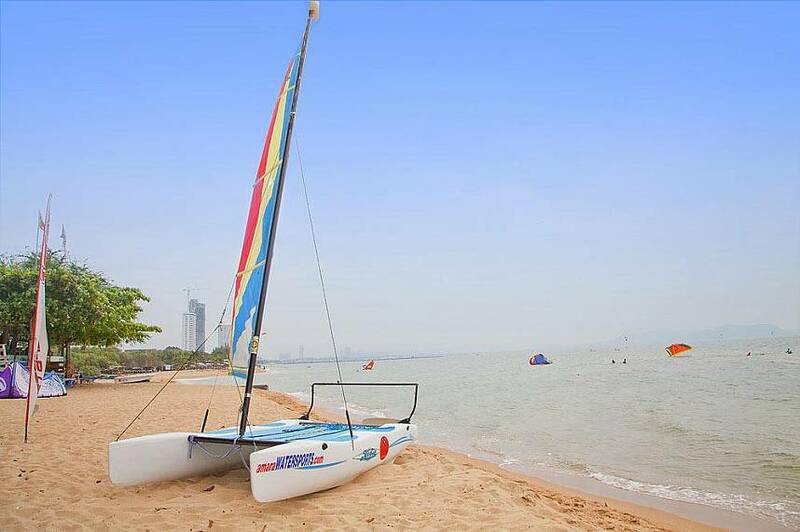 The beaches of Pattaya are particularly suited to the sport, allowing riders to catch excellent waves and offering something fun and challenging for novices and experts alike. 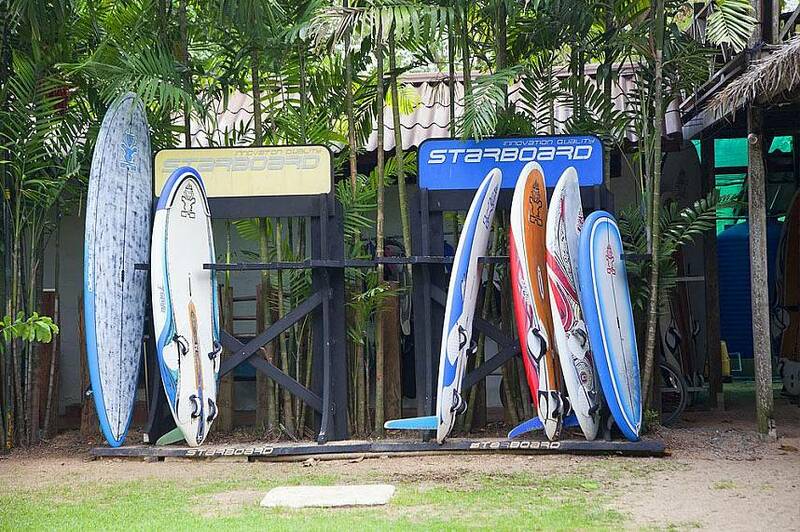 Amara Windsurfing Club was first founded by Amara Wichithong, a highly accomplished windsurfer and Thai national. Amara won a gold medal at the SEA Games in windsurf racing and has even competed at the sport’s highest level as an Olympian representing her home country. Although she has been teaching for a great many years now, she has remained active in competitions. For those looking to get into the sport for the first time, Amara Windsurfing Club is a great place to start. 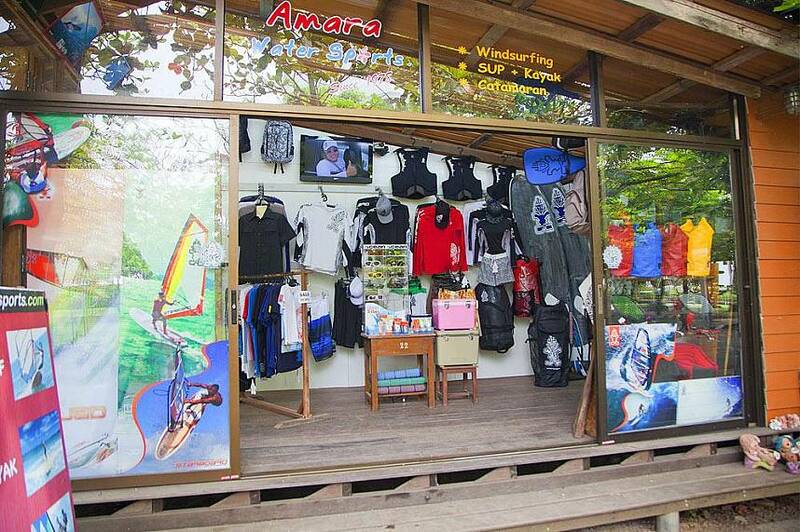 In addition to offering instruction and lessons, Amara Windsurfing Club also has a well-stocked retail outlet with boards, sails, and all the other supplies one might need to get started on their first windsurfing outing. The shop also sells a variety of gear for other watersports as well, such as kayaks and oars. As far as location, Amara Windsurfing Club is in a truly fantastic spot. 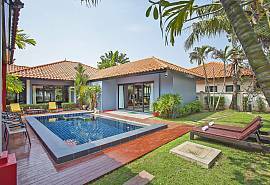 Situated only a little way south of Pattaya, Na-Jomtien has some of the finest beaches and surf in the entire Gulf of Thailand. 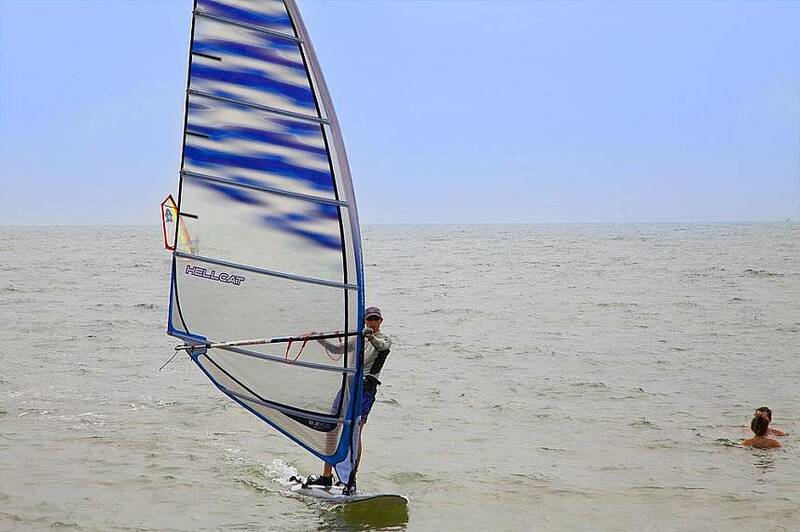 The beach offers great weather for windsurfing nearly all year round. Even when the wind is not so strong, it is still a great spot to just relax on the beach or go for a swim. Amara Windsurfing Club’s location in the Blue Lagoon is so peaceful and tourist-free compared to much of the nearby area. 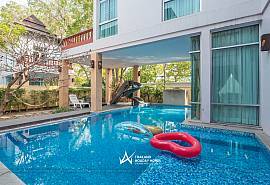 The scenes that have come to characterize some of the rowdiest parts of Pattaya are absent here, replaced instead with calm waters and pristine beaches. 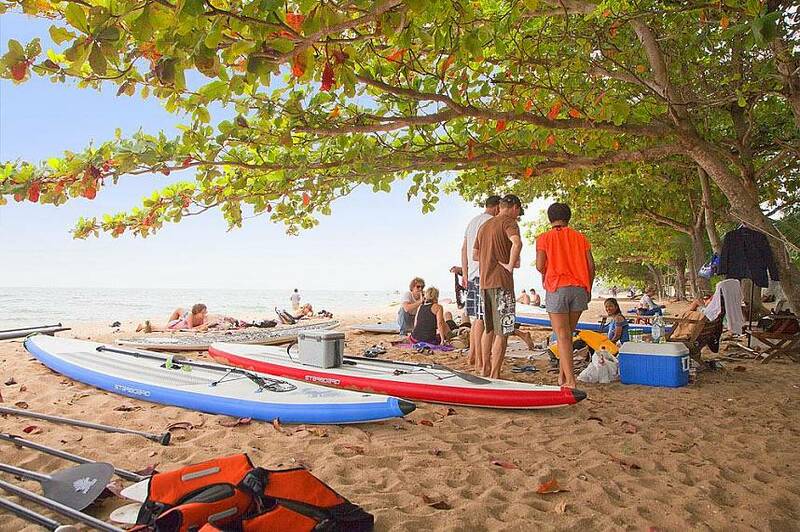 The service and expertise provided at Amara Windsurfing Club is second to none in the entire industry, and with such a bona fide professional as Amara Wichithong at the helm, it is small wonder. 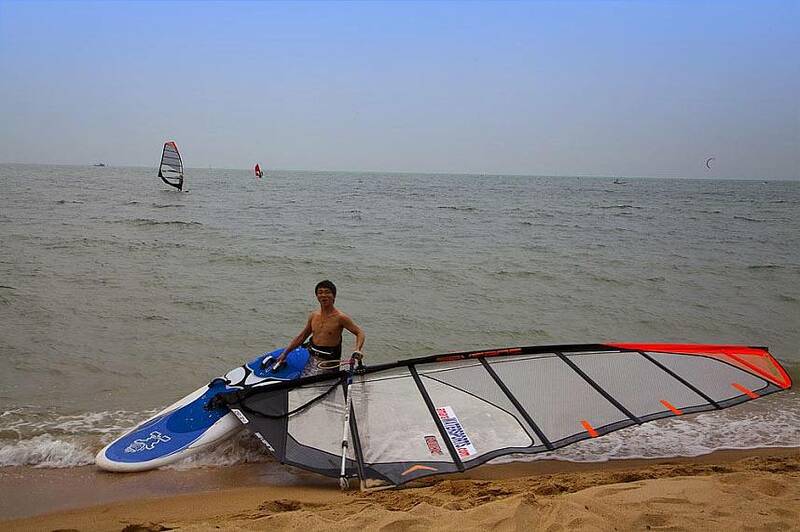 Those who come to windsurf here will no doubt have a great experience. 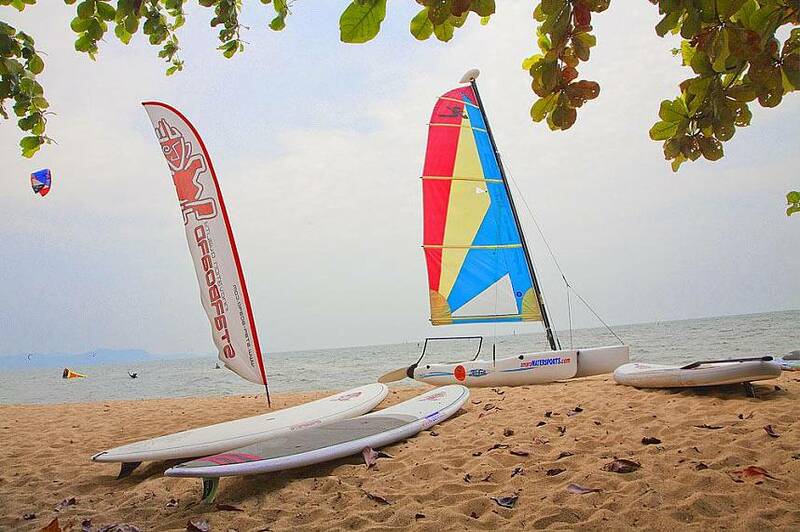 Amara Windsurfing Club is the best destination for windsurfing in this part of Thailand. 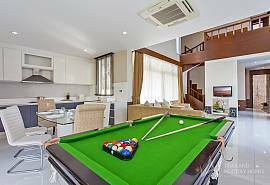 Click to browse our full range of Pattaya villas and Pattaya apartments for rent.